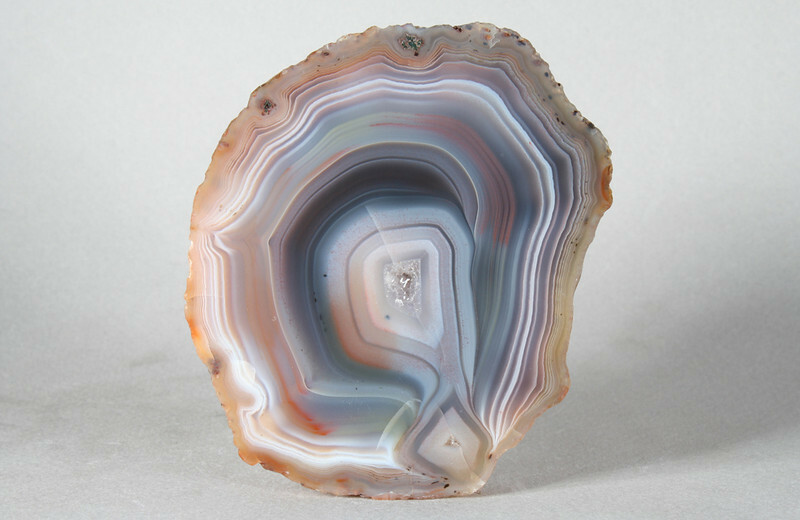 Throughout this agate one sees the gentle chromatography of the agates of Chubut, so different from the bold dramas in the Condor agates from about 800 miles to the north. Long exposure to the temperature extremes of the Chubut desert has caused a couple of stress fractures. The outer surface is soothingly smooth from the sand blasting winds.